This small treasure had remained hidden inside a quaint 18th-century building for decades. This is the story of a traditional dough mixer that had been used by an ancient pastry shop located in Thiene, Vicenza. At the beginning of the 1900s, on the first floor of Palazzo Tagliapietra on via S. Maria Maddalena, there was a small shop thatproduced candies and sweets, including hard nougat. After the business shutdown, the furnishings were abandoned and walled in. As if time had stood still, they remained in their original home, right after the last dough had been mixed. They were then casually discovered by the Tura family, during an expansion project of the building’s courtyard. 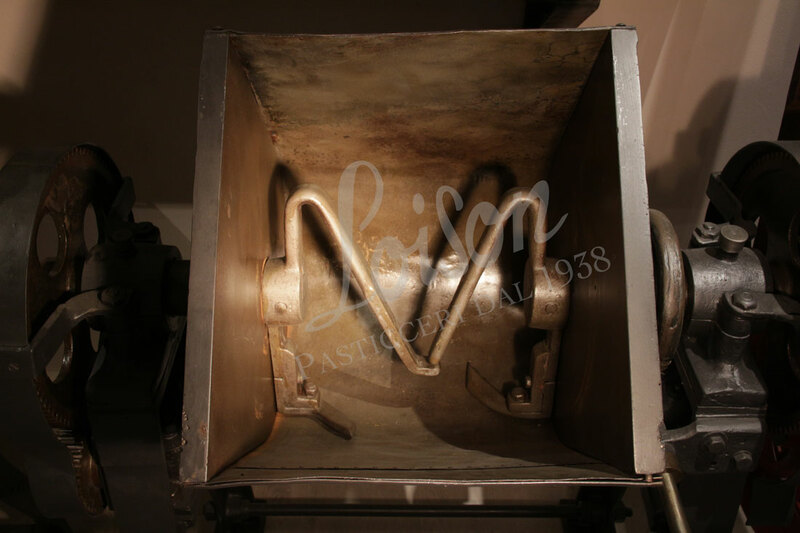 This dough mixer was put back to work, after tens of years of abandonment, thanks to skillful restoration, which put it back into operation in the Loison Museum hall. 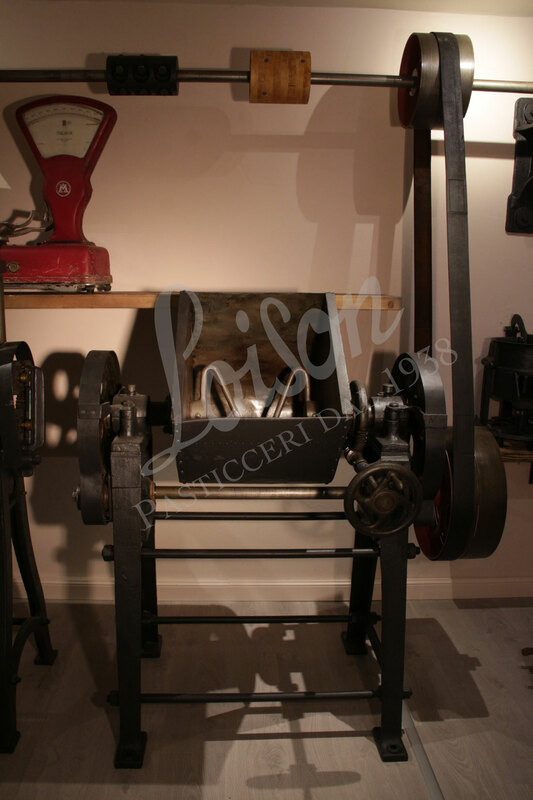 Thanks to the generosity of CavalierTura, many of the machines found in the antique workshopwere relocated to theLoison Museum, along with their paper and photographic documentation. In the photo, you can see the machine as it is displayed now in our Museum, along with the photo of its discovery. 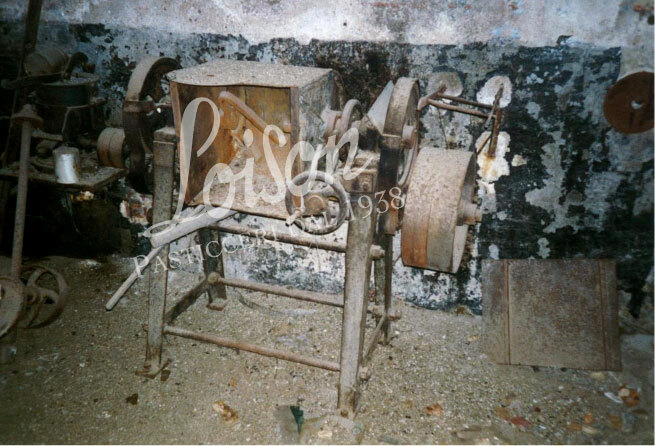 The dough mixer dates back to the late 1800s-early 1900s. This type of machinery, whose reproductions can be found in the agrarian encyclopedia, was also advertised in magazines and newspapers of those times. 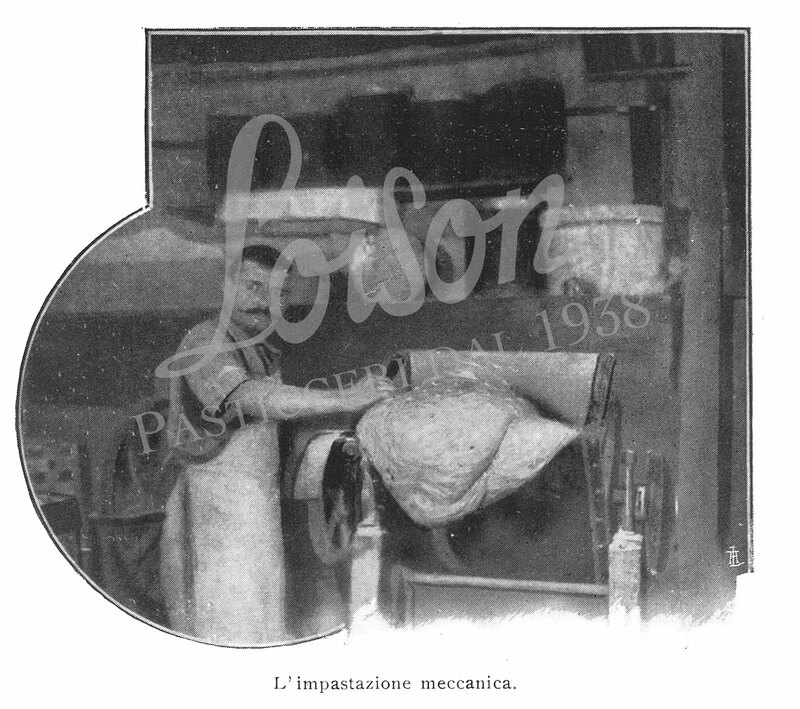 It was used for mixing bread and Panettone dough, as shown in Milan’s weekly newspaper Pro Familia dated December 25th, 1910.